NEW In Paperback for Spring 2016! 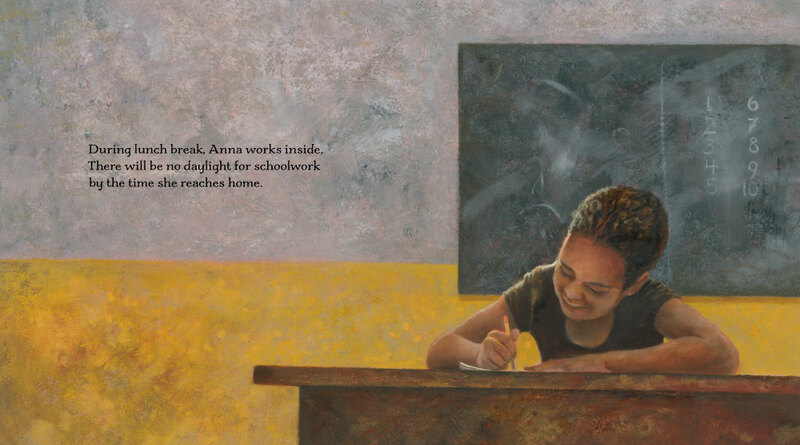 In a Tanzanian village school, Anna struggles to keep up. 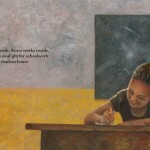 Her walk home takes so long that when she arrives, it is too dark to do her homework. 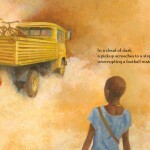 Working through the lunch hour instead, she doesn’t see the truck from the bicycle library pull into the schoolyard. By the time she gets out there, the bikes are all gone. Anna hides her disappointment, happy to help her friends learn to balance and steer. 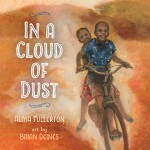 She doesn’t know a compassionate friend will offer her a clever solution—and the chance to raise her own cloud of dust. 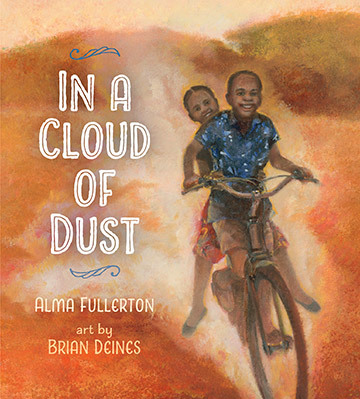 Brought to life by Brian Deines’ vivid oil paintings, Alma Fullerton’s simple, expressive prose captures the joy of feeling the wind on your face for the first time. 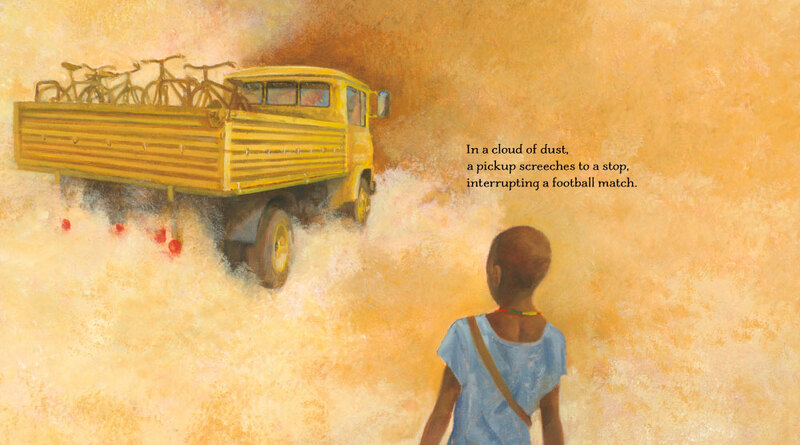 Inspired by organizations like The Village Bicycle Project that have opened bicycle libraries all across Africa, In a Cloud of Dust is an uplifting example of how a simple opportunity can make a dramatic change in a child’s life.